It's finally here. 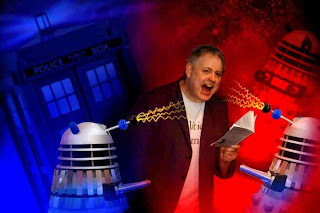 Release the Daleks! At 2.15pm today, Kevin Cadwallender will be this year's first special guest at Show 1 of this year's Edinburgh run. Last Wednesday, Kevin was within a pondering whisker of winning the inaugural BBC Poetry Slam. Today he will face no competition! However, he will be joining forces with the rest of the free-wheeling collective to destroy doubt, exterminate grumpiness and enslave the audience with wit. Oo-oo-oo! Now you know who (and when), here's the where: Espionage on Victoria Street. 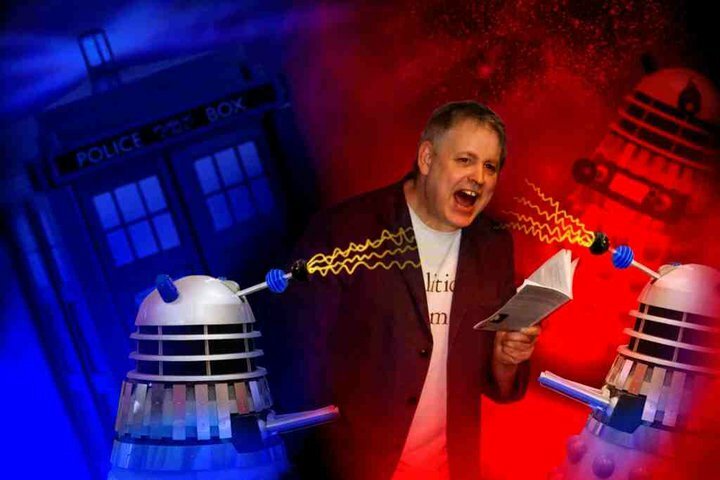 Be there or be Tardis-shaped. Now you've met our guests, why not find out more about the regulars? 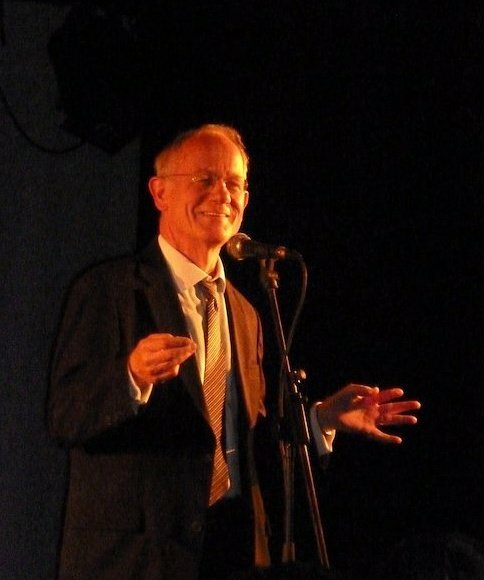 In early 2010, sitting in the back room of a Glasgow pub, Jane Overton approached three strange gentlemen with a brilliant idea: let's take the punch, humour and humanity of the spoken word evenings we enjoy and bring them to the Edinburgh Fringe. So, who is Jane Overton and who are these strange men? Well, read on! Not only do we give you words, you can also have pictures and videos. In fact, there are quite a few clips of us on the Internet. In most of them, we are wearing clothes, but you never know what you might find when you start cyber-stalking us. Find out, and see, more on Robin's website. For more news, photos and footage, visit his website. In addition to the regular performers, we have guests at our performances. Never twice same show! Each show of our run of five this year has its own event on Facebook, if you want to add it to your cyber-diary. All shows are at 2.15pm (to 3.15 pm) at Laughing Horse @ Espionage (Venue 185), entrances on Victoria Street and Cowgate. Tim Turnbull is used to holding the attention of captivated audiences - literally, since he has worked extensively bringing creativity and literacy to Her Majesty's Prisons, amongst other places. He is a distinguished poet on both page and stage. Sheila Templeton was born in Aberdeen, had a nomadic childhood (ranging from Aberdeenshire to Dar-es-Salaam), studied at Aberdeen University, and was a secondary school teacher in West Lothian and Edinburgh, before turning to writing professionally and moving to Troon (and now Glasgow). 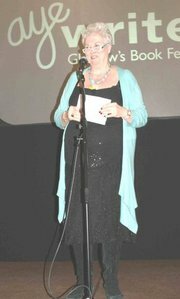 She has had poems read on BBC Scotland and regularly gives poetry readings. Though many of her poems are in relatively standard English, she also writes in both Doric and Lowland Scots. And she wins lots of prizes! First, although Robin, Chris and Jane missed out on reaching the BBC Poetry Slam final tonight, that cannot be said of this year's first guest Kevin Cadwallender. Cheer him on tonight and then catch him on Sunday afternoon as he helps to launch this year's show proper! Chris Young provides comic poetry to a line-up of LGBT and bendy-friendly comedy. First, another thank you to Inky Fingers and the Forest Cafe for yesterday's outings at the Minifest. If you're around the BBC Venue@Potterrow between the 13th and 17th August, why not head over to the Baby Bubble and enjoy a brilliant, free poetry slam? 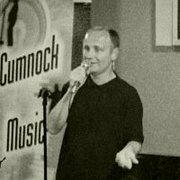 From 6.45-8pm on those five nights, you will have the chance to see some of the finest spoken-word performers in the country, all hosted by Scottish Slam Poet Champion, Young Dawkins. 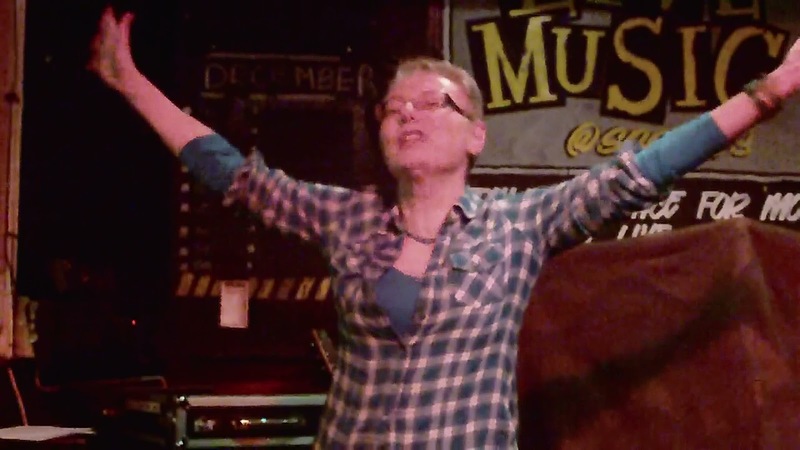 If you've never seen a poetry slam before then this is your opportunity! You don't need a ticket, so just come by, grab a drink and enjoy some of the best poets performing at the Fringe. Read the full list of competitors here. As part of the Inky Fingers FREE Edinburgh Minifest, there will be 36 hours of continuous poetry reading from 10am on Thursday 11th August until 10pm Friday 12th August. In advance of the Arguments and Nosebleeds preview at 3pm on Friday, Jane Overton and Chris Young will be grabbing their 15 minutes of fame at 1pm and 2pm respectively. So you can overdose! Yes, there is a special EARLY opportunity to see us! 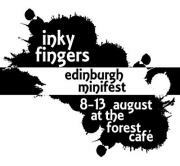 The lovely people at Inky Fingers have included us in their Edinburgh Minifest at the Forest Café (3 Bristo Place Edinburgh, EH1 1EY) from 3pm, Friday 12 August. The line-up will include all four of the regular crew: Jane Overton, Robin Cairns, Alex Frew and Chris Young. 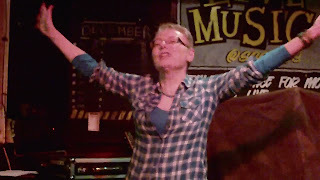 Come and laugh, cheer, groan - and tell us which poems never to do again!